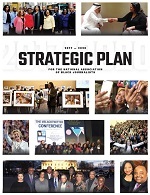 WASHINGTON, D.C. (March 28, 2019) – With more than 300,000 initiated members and more than 900 chapters worldwide, Delta Sigma Theta Sorority, Inc. is joining the National Association of Black Journalists’ (NABJ) in its campaign for change at CNN. The news network has been found, in recent years and based upon preliminary research by NABJ, to fail to hire or promote black employees within its news leadership ranks. 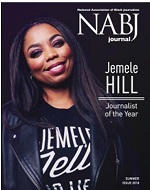 Delta Sigma Theta adds to millions of voices worldwide supporting NABJ’s cause. NABJ has requested meetings with executives at CNN and AT&T, its parent company. NABJ has also requested that AT&T conduct a civil rights audit of CNN’s hiring and promotion practices. In addition, NABJ has placed CNN on a special media monitoring list. Delta Sigma Theta also noted in the statement that the sorority, standing with NABJ, calls upon CNN to take the necessary steps to enter dialogue and to increase the diversity in executive news leadership. Twenty-five years ago, the sorority passed a resolution calling for the inclusion of black voices in newsrooms, advocating for public access to the media and increasing the number of minority women at every level in the field of communications including programming and policy-making positions. “While it is difficult to believe we stand today making this same demand, we note with pride of purpose that we are joined by millions of supportive voices and that we are not deterred. We call upon the media to hear our combined message of concern,” said the sorority, about the need to broadly improve diversity in news leadership. The organization’s full statement can be found here.